U.S. sanctions on Venezuela’s oil industry have made winners out of Royal Dutch Shell Plc and BP Plc, Gulf of Mexico offshore heavyweights, as refiners in need of substitutes are scooping up oil produced in the region. Those two companies produce notable amounts of crude oil that refiners have settled on as the immediate replacement for the heavy Venezuelan crude that U.S. refiners relied on for years. It’s amazing how the end game always prevails, we all are meant to be surprised that US Big Oil comes out winners of another “humanitarian” calamity. We can dissect it as much as we like and take apart the finite details and what will be affected but the End Game is exactly what was planned. I don’t need to repeat but will for the record but Kuwait, Iraq, Afghanistan, Syria, Kurdistan and next on the agenda with more force will be Iran or already is just waiting for an escalation. All of this is most convenient for the US oil agenda. Trump wants cheaper gas at the pump, no one else does it’s cheap enough. Shale will go down in history as being one of the USAs energy stones in the shoe. It’s amazing we go through peaks and troughs, times of conflict oil rebounds and the circus continues same show different location, but the attractions only change underneath the masks. 1) What does this do to US imports/exports of oil? E.g. were we previously exporting Mars crude? 2) Will this lead to an increase of Gulf heavy crude production? 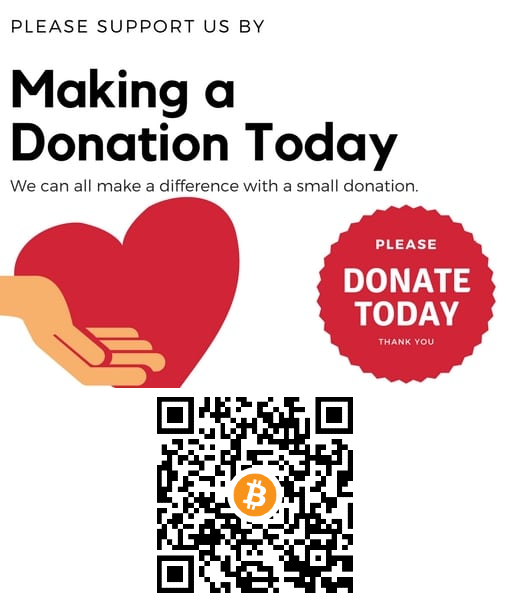 If so, how much could it increase? 3) Will this bring greater attention to Canadian or US oil sands? 1. US imports/exports will balance in the national agendas favor. 2. The Title of the thread is clear. 3. Oil sands have been killed by the oxymoron called Shale, until we all wake up to the fact that US Shale has spent the profits producing it. There will come a day when they will need to provide the P&L to the banks and how they will pay back the funding. New York — US crude supply edged higher last week as exports dipped and refinery headwinds weighed on utilization rates, US Energy Information Administration data showed Wednesday. Commercial crude inventories added 2.8 million barrels last week, bringing stocks to 442.28 million barrels for the week ended March 22, EIA data showed. Despite the build, nationwide inventories still fell relative to historic levels, and the deficit to the five-year average widened to 1.8% from 1.6% the week prior. The crude build was concentrated in the US Gulf Coast, where stocks grew 4.58 million barrels on the week to 21.81 million barrels last week. Draws of 1.55 million and 1 million barrels in the Midwest and West Coast, respectively, blunted the nationwide crude build. Notably, stocks at Cushing, Oklahoma, the delivery point of the NYMEX crude contract, added 541,000 barrels, snapping back-to-back weeks of declines. Crude exports dropped 506,000 b/d to 2.89 million b/d last week, but the impact on crude stocks was mitigated by a 392,000 b/d drop in imports. The import decline was especially notable in the Gulf Coast where inbound crude volumes fell 219,000 b/d to 1.48 million b/d, testing multi-decade lows of 1.43 million b/d seen in early February. Nationwide refinery utilization dropped 2.3 percentage points to 86.6% of capacity. The decline put rates at the lowest since mid-February and more than 3% below the five-year average. About 3.1 million b/d of crude distillation capacity was offline for planned turnaround work last week, compared with 2.7 million b/d during the week prior, S&P Global Platts Analytics data showed. Last week was expected to be the high-water mark of seasonal turnaround work, and nationwide offline distillation capacity was expected to decline going forward. In addition to a heavy schedule of planned maintenance, emergency shutdowns due to fires at multiple facilities last week added further headwinds to refinery runs. A heavy crude unit at Phillips 66's 259,200 b/d Los Angeles refinery was expected to be down for several weeks following a fire there early last week. And a fire at ExxonMobil's 563,000 b/d Baytown, Texas, refinery last week resulted in damage to a gasoline-making fluid catalytic cracking unit that could keep it offline for up to 11 weeks. These headwinds have held refinery utilization below 90% of capacity since early February. Run rates declined last week in all regions outside of the USAC, where utilization ticked up 0.6 percentage point to 78% of capacity. USGC run rates slipped 3 percentage points to 87% of capacity and net crude inputs cratered 294,000 b/d to 8.35 million b/d, the lowest since February 2018. The refinery slowdown contributed to a draw in refined product stocks, even as end-user demand edged lower. 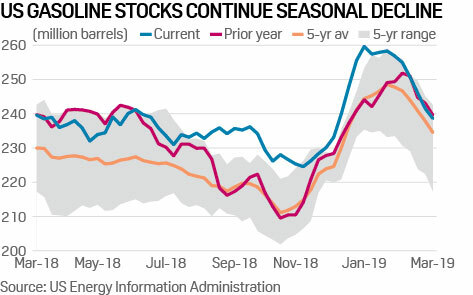 Nationwide gasoline stocks fell 2.88 million barrels to 238.62 million barrels, a 13-week low, and total distillate fuel oil stocks were down 2.08 million barrels last week at 130.17 million barrels. Weekly product supplied for all refined products, a proxy for demand, dropped 1.36 million b/d to 20.13 million b/d for the week ended March 22. While still above the 20 million b/d threshold, total product demand slipped to an 11-week low and was down 3.8% from year-ago levels. USAC gasoline stocks bucked the nationwide trend, moving 572,000 barrels last week to 64.54 million barrels. Regional inventories had been holding on either side of the five-year mean in recent weeks, but last week's build puts them more than 4% above the historical normal, the widest surplus since early February. The modest rebound in USAC refinery utilization contributed to a 12,000 b/d uptick in regional gasoline production to 3.29 million b/d. Regional gasoline production was last higher in mid-December, when USAC refiners were operating at 83.4% of capacity. 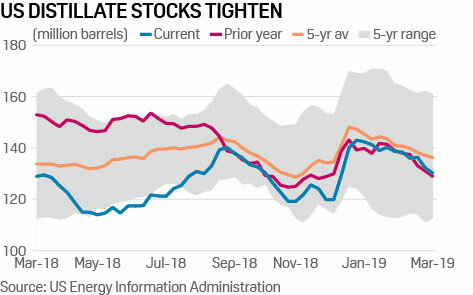 Despite run rates lingering below 80% of capacity last week, strong gasoline cracks are incentivizing refiners to maximize output. The NYMEX frontline RBOB vs WTI crack was around $20/b last week, at par with its year-ago level and up from around $9.50/b in mid-December. Mars Crude oil is exported to Euro-Med, Far East Asia, South Asia where they have a greater demand for heavier sour crude and Mars is also blended with Eagle Ford and other domestic sweet crude oils. The shale boom has created a world awash with crude, putting a lid on prices and markedly reducing U.S. dependence on imported energy. But there’s a growing problem: America is producing the wrong kind of oil. Texas and other shale-rich states are spewing a gusher of high-quality crude -- light-sweet in the industry parlance -- feeding a growing glut that’s bending the global oil industry out of shape. 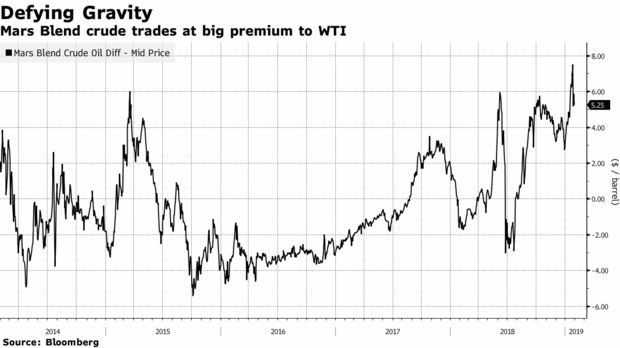 Refiners who invested billions to turn a profit from processing cheap low-quality crude are paying unheard of premiums to find the heavy-sour grades they need. The mismatch is better news for OPEC producers like Iraq and Saudi Arabia, who don’t produce much light-sweet, but pump plenty of the dirtier stuff. The crisis in Venezuela, together with OPEC output cuts, will exacerbate the mismatch. The South American producer exports some of the world’s heaviest oil and Trump administration sanctions announced this week will make processing and exporting crude far more difficult. American refiners are scrambling for alternative supplies at very short notice. 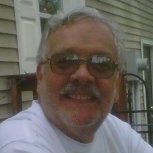 "We still have some holes in our supply plan" over the next 30 days, Gary Simmons, a senior executive at Valero Energy Corp., the largest refiner in the U.S., told investors on Thursday. "We are not taking anything from Venezuela." Crude isn’t the same everywhere: the kind pumped from the shale wells of West Texas resembles cooking oil -- thin and easy to refine. In Venezuela’s Orinoco region, it looks more like marmalade, thick and hard to process. Density isn’t the only difference -- the sulfur content is also important, dividing the market into sweet and sour crude. Heavy crude tends to have more sulfur than light crude. As Saudi Arabia, Russia and Canada cut production, and American sanctions force Venezuelan and Iranian exports lower, the market for low-quality crude is feeling the impact. "The strength in the physical crude market continues, led by sour crude shortages," Amrita Sen, chief oil analyst at consultant Energy Aspects Ltd. in London, said echoing a widely held view within the market. For consumers and politicians focused on the headline oil price for Brent and West Texas Intermediate, the most popular benchmarks, it may not matter much. Car drivers could even benefit, because too much light-sweet crude often leads to too much gasoline, and lower prices. On the flip side, truckers may find themselves short-charged, as refiners prefer heavy-sour crude to make diesel. To oil traders in the physical market, it provides opportunities for to profit from the changing price spreads between different crude varieties. Few oil executives see the market changing anytime soon. The supply and demand balance could deteriorate further as OPEC deepens output cuts next month -- Saudi Arabia has warned it will reduce production even further in February. Saudi oil exports into the U.S. last week fell to the second-lowest level in nearly a decade. "OPEC cuts will sustain the tightness of heavy-sour crude," Alex Beard, the head of oil at commodities trading giant Glencore Plc. At the same time, U.S. shale production keeps growing, feeding the glut of light-sweet crude. The proportion of light crude in U.S. total petroleum output has risen to nearly 57 percent, up from 51 percent in early 2017, according to Bloomberg calculations based on U.S. Energy Information Administration data. 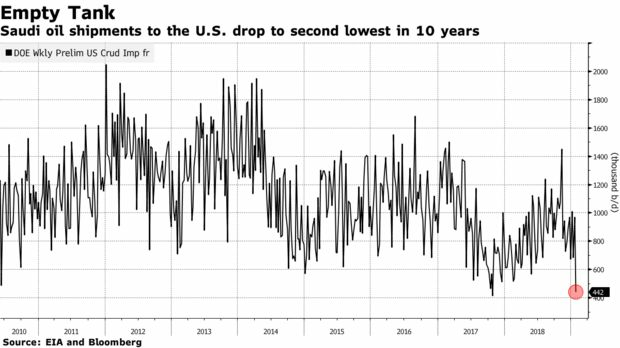 In the physical market, oil price differentials for some important varieties of heavy-sour crude -- including Russia’s main export grade, Urals, and Mars Blend from the U.S. Gulf of Mexico -- are at the strongest levels in five years, according to data compiled by Bloomberg. Mars crude on Tuesday traded at a $5.85 premium to U.S. benchmark West Texas Intermediate, compared to a discount of $1.60 a barrel a year ago. Earlier this month, Heavy Louisiana Sweet crude traded at a rare premium to its sister variety Light Louisiana Sweet. “OPEC is having the impact that they wanted in the physical market, which is tightening," Marco Dunand, chief executive officer of commodities trader Mercuria Energy Group Ltd.
Heavy-sour crude is becoming so expensive -- and gasoline refining margins are so low -- that some U.S. refiners are running their most sophisticated kit at low rates in an effort to save money. Others are likely to follow. 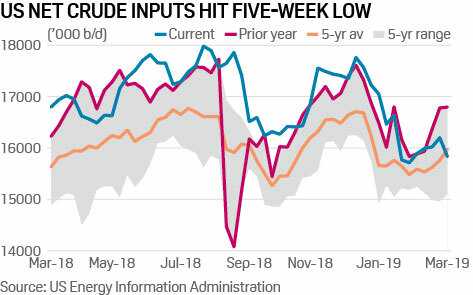 The cracking margin for heavy-sour crude for the most sophisticated refineries in the U.S. Gulf of Mexico has fallen to about $2.50 per barrel in recent days, compared to a five-year average of $12 a barrel, according to data from consultant Oil Analytics Ltd. The global refinery has no option but to adapt almost in real time. Valero is "changing the way it’s sourcing crude on weekly, daily basis to try to get the best netback we can on the plants," Joe Gorder, chief executive officer, told investors on Thursday. I do not agree with that headline , the oil is not the wrong type of oil, the oil is better quality but the refineries that were built 30-40 years ago and before that , were designed to run sour heavier crude oils .